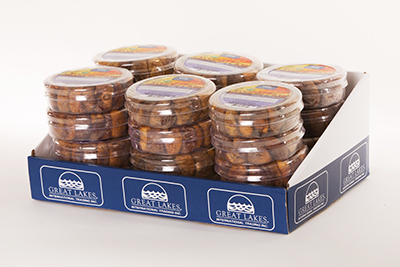 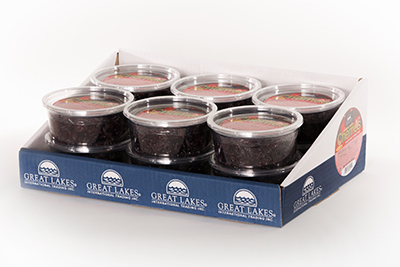 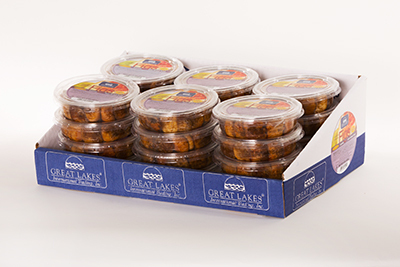 Shelf-Ready Carton « Great Lakes International Trading, Inc.
Just remove the cardboard lid and start selling with these shelf-ready displays! 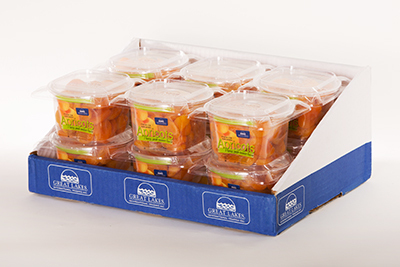 Each carton measures 16” x 10.5” x 5.5.”, which equals .53 cu. 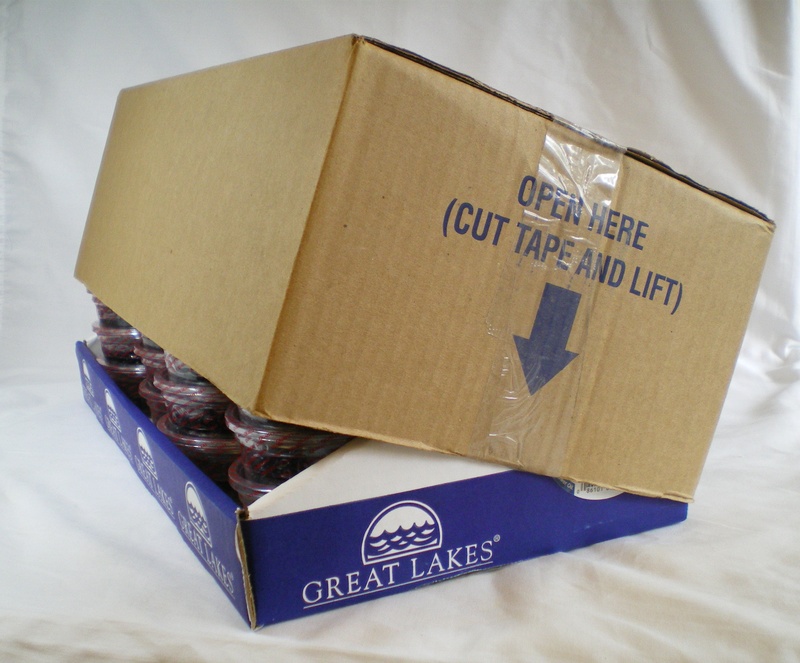 ft. Each pallet is loaded 10 block/10 high for a total of 100 cases per standard 40 x 48 pallet.